Your product covers a lot of ground between manufacturer and customer. In fact, inbound logistics is generally responsible for more than half of your total distribution costs. And yet, despite playing such a significant role in business operations, the complex nature of supply chain design eludes far too many. So, perhaps it is time to ask yourself, how well do you know your supply chain? For many organizations, supply chain function has become less a question of “design” and more a collection of piecework necessities. This kind of approach generates plenty of confusion and far too many missed savings opportunities as things fall between the cracks. TPG Inbound Consolidation Series Part 3 (of 7): Click here to request ebook. Let’s take, for example, the question of making the jump to inbound consolidation. You have heard of the numerous benefits and are perhaps wondering if this move might be just the boost your organization needs to reach best-in-class status. However, not only are you unsure how best to determine what savings opportunities might exist in such a move, but you are also completely overwhelmed at how to manage such a conversion within the intricacies of your current supply chain system. This is where a well chosen supply chain optimization software system can work miracles. Rather than relying on disjointed spreadsheet data or unrelated end-to-end applications, a strong supply chain optimization software package can show you where you might be better able to optimize for cost, eliminate inefficiencies, and predict how your changes will play out. Keeping with the idea of inbound consolidation conversion, let’s examine the differences such a software package can make. In the first scenario, the software-less scenario, you know that your operations could be more efficient. However, between the paper trail and application disconnect, it is difficult and time consuming to create a precise picture of what is being spent where. Even after you take the time to create an analysis, it is possible that a step may have been overlooked or a factor disregarded due to human error or translation between systems. Let’s look at the same scenario again, this time with a supply chain optimization software, such as LLamasoft ® or other similar systems. By running the programs for supply chain optimization, it immediately becomes clear not only that you can benefit from transportation savings, but more specifically, where those inefficiencies are currently occurring. More importantly, you can analyze these numbers with confidence, knowing that nothing has been overlooked due to human error or system gaps. Now let’s follow that through to the next step. In preparing to make your inbound consolidation conversion, you will need to engage in extensive transportation modeling in order to design your new program in every area from consolidation center location to supplier freight negotiations. Here again, one wrong move due to faulty manual calculations and you will not only lose any transportation savings, but you may also lose valuable partnerships with your suppliers. 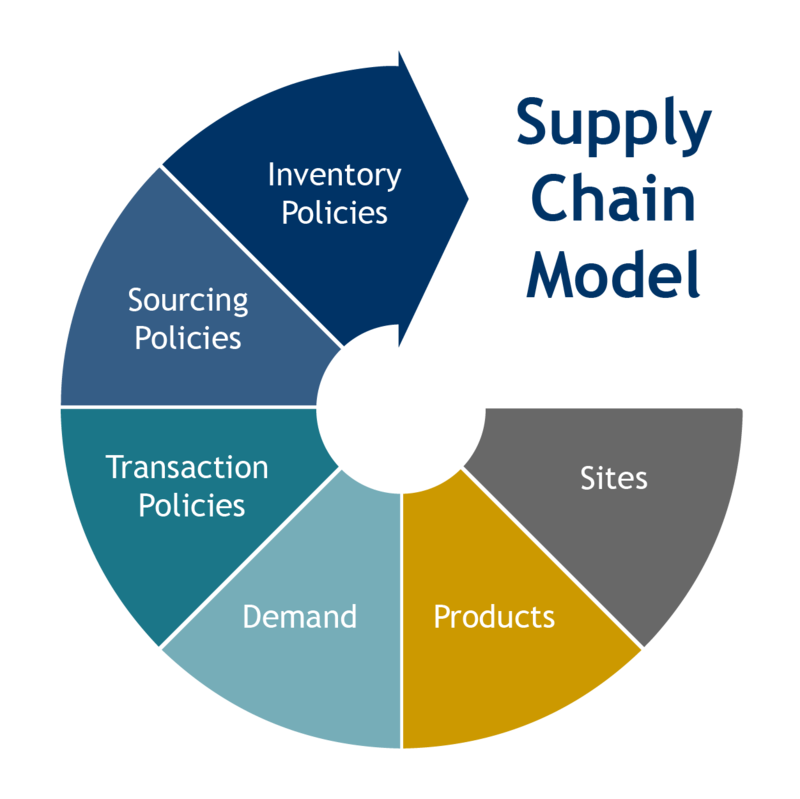 However, in our model supply chain optimization software scenario, the organization can enter these negotiations in a firm position. Having strong data derived from top of the line modeling software not only gives you the confidence to make crucial logistical decisions but also provides you with a rock solid foundation when you go to your suppliers with an ask. Not sure if you really want to commit to full scale software purchases? By partnering with supply chain optimization consultants, you get targeted, goal oriented support to guide you to best-in-class supply chain design. By selecting a team, such as TPG, which not only brings extensive experience to your table, but who are also equipped to recommend the latest and most advanced transportation modeling and supply chain optimization software available. Ready to take your supply chain design to the next level? Contact us today to see how your organization can achieve greater network optimization and savings. Designed, integrated and implemented Inbound Consolidation Programs for Fortune 100 and 500 Companies throughout North America, south America, and the Pacific Rim improving cost, service, quality and speed. Authors’ Note: This article is the third of the TPG series on Inbound Consolidation. Find the previous post here: Finding the Right ICP Partner. © 2018 The Partnering Group, Inc.